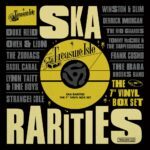 Treasure Isle Ska Rarities: The 7″ Vinyl Box Set We cannot display this galleryThey like a good box set down at Trojan Records and whilst not cheap (it’s currently advertised at £43.50 on the Pledge Music site) this one is good enough and will be well worth a look when it is issued at the end of this month. Doctor Bird Records (a division of Cherry Red) continue their skillful plundering of the Trojan archives with a couple of new CD’s out on October 13th. 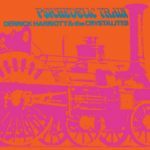 As usual they’ve selected a couple of classic LP’s and have put them together with a selection of bonus tracks, we get Various Artists – Gay Feet – Every Night and Derrick Harriot & the Crystalites – Psychedelic Train. The Rock-A-Shacka crew have just released another two singles in their continuing series of limited edition top quality ska and rocksteady 7″s. 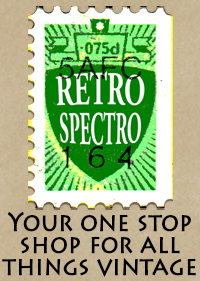 The latest releases are on the Gaydisc and Gayfeet labels and feature rare tunes from the archives of Lindon and Sonia Pottinger. 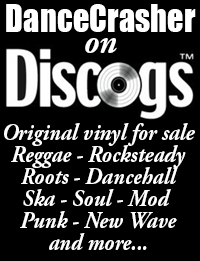 After listening to Ska-Nick’s Duke Reid Ska selection recently (see below) I was inspired to dig out a few old Ska tunes, the result was the first Dancecrasher podcast in a long time. You can check it here: [Audio:http://dancecrasher.podomatic.com/enclosure/2008-05-07T16_04_23-07_00.mp3] or stick it on your itunes by clicking here.